Over the past six months or so, Tonkotsu (of Turu Sushi) held a series of ramen pop up events at their Bishopgate branch attended by all the ramen aficionados like myself. Like all good things, this has finally came to end and what a spectacular ending this was. Since the last Classic Shoyu ramen event, I have been waiting anxiously with bated breath to find out what their house ramen will be. Upon arriving and once seated, it was finally revealed to us that it will be their own take on the traditional English breakfast in a slat based ramen. That sounded exciting and since all classic ramen were named after the city they were from so London ramen just seemed like an appropriate choice. 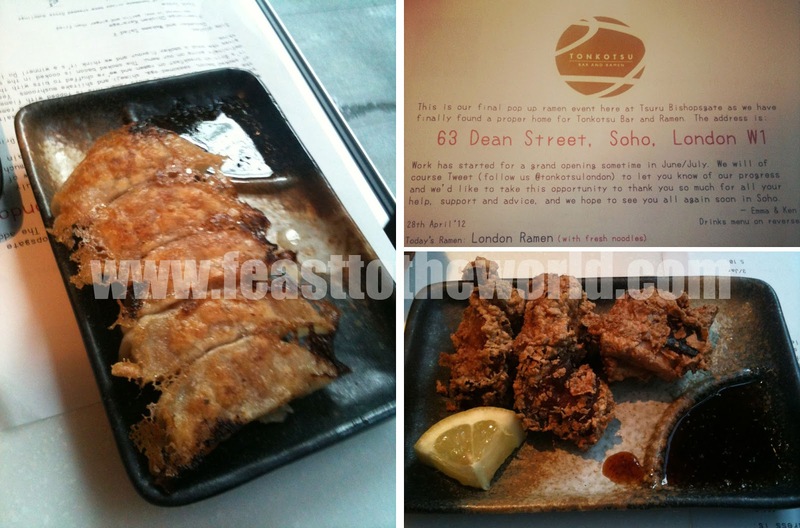 The crispy kara-age were juicy and moist as usual, great flavours and I am delighted to see that the standards of this had been very consistent over our past few visits as were the pork gyoza. They were both excellent and perfect starters to the meal. The London ramen arrived once our starters were cleared, bringing with it a whiff of intense smokey bacon aroma, which was rather comforting on a cold rainy day. 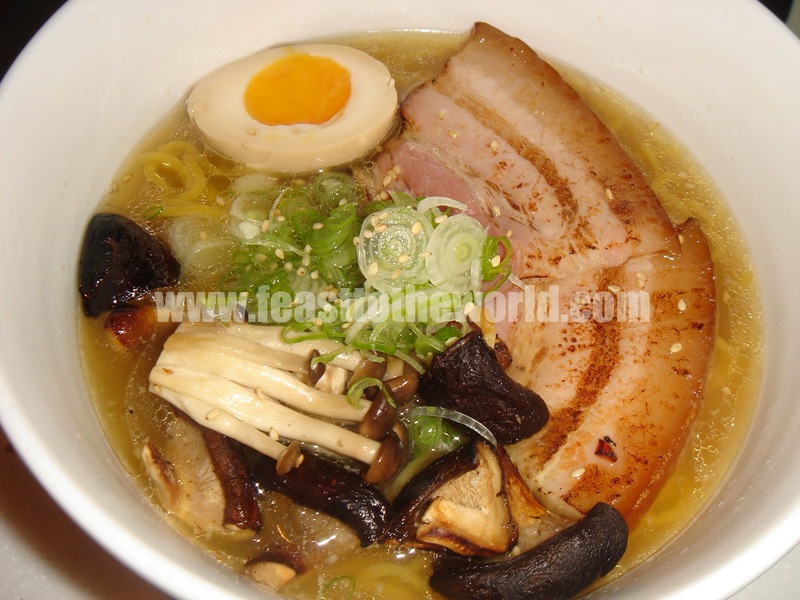 Another news announced on the day was the Tonkotsu has finally found a home (hurrah!) and it will be residing in Soho, 63, Dean street opening in June/July. We were told that this was all very recent and that the contract was only finalised a couple of weeks ago, so good news for all ramen lovers in London. The ramen world has had the Tokyo, Hokkaido and Tonkotsu and now it has London ramen, or as I prefer, The Big Smoke. Ha ha! I'm liking the idea of this although surely some sausage & black pudding should be in the mix, too! Good idea that! Maybe they should make some gyozas with those fillings and serve as a side dish with this ramen.